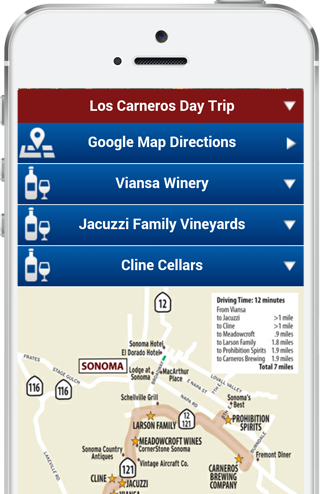 We have more than 33 years of providing up-to-date wine tasting information … making us one of the most well-respected resources for California visitors as well as concierges, limo/bus drivers and tasting room staff! Let us plan your trip for you! 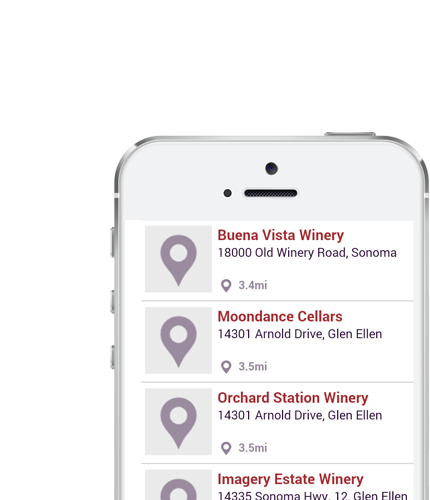 with more to come in Sonoma County and Central Coast! Take advantage of our area of expertise. 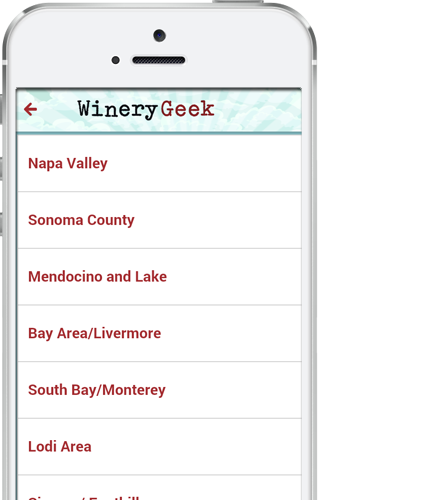 Once you're inside a region, click the upper right corner to search the wineries by your favorite varietal such as Cabernet Sauvignon, Chardonnay, Pinot Noir, Zinfandel, Sparkling even Grenache or Malbec! 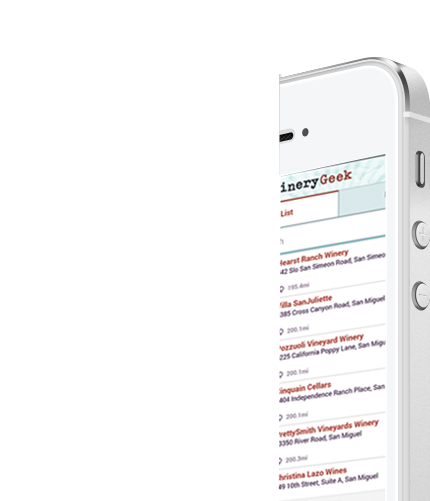 Are you looking for something specific? 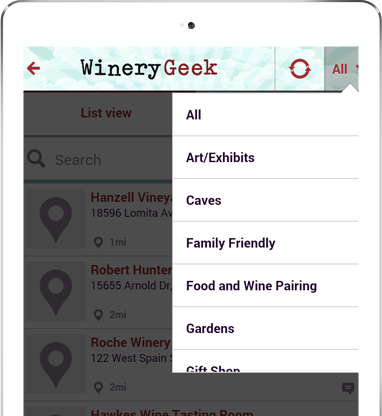 Click on the upper right corner to search wineries by Caves, Food and Wine Pairings, Gardens, Historic Significance, Organic Wines, Pet Friendly and more. 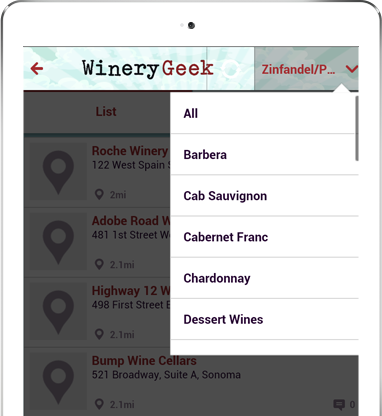 We can help you find the perfect winery destination. 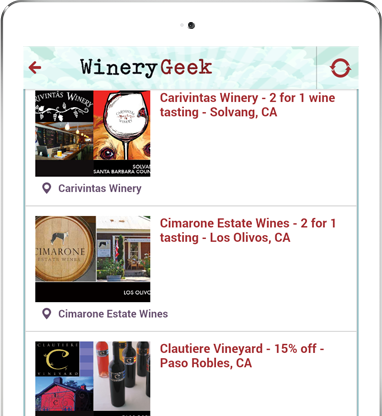 WineryGeek has a large selection of special offers to save you money or upgrade your wine tasting experience such as tasting special Library or Reserve Wines. 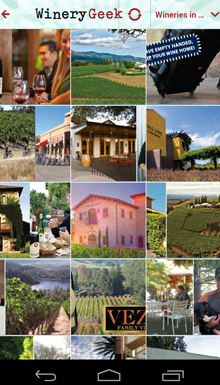 In addition, look for special offers on limousines, tours and spa packages! Five Stars: Love it! 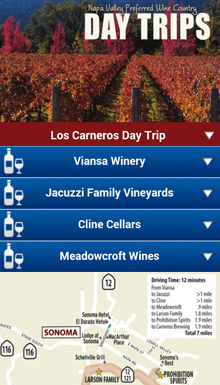 Very easy to use and gave me great ideas for outings. The information is readily available! 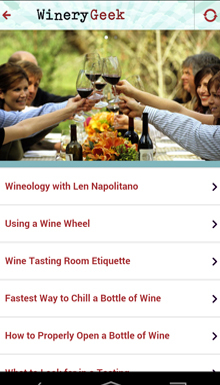 Five Stars: Informative … covers a variety of main areas traveled, terrific app. Thanks!! Five Stars: Great resource and fun to play with! 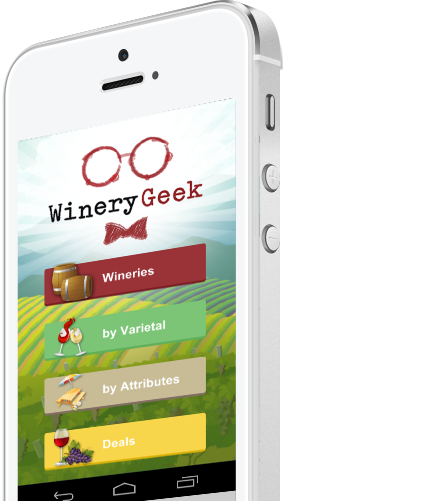 WineryGeek 2014 | All rights reserved.